Get quality car seats for your little one. Infant car seats are designed for babies who weigh between 4 and 40 pounds. These seats are installed in a rear-facing position in a car's back seat to keep your baby safe and comfortable. These car seats often come with a base and a carrier to make it easier to get the child and the seat in and out while also making it easier to transport your child as you run errands. Convertible car seats offer a bit more flexibility because they can often accommodate children up to 65 pounds. Because it is larger, babies and toddlers can ride in the rear-facing position longer. Parents can then turn the seat around and use the car seat in the forward-facing position when the child is old enough and ready. As the name suggests, the all-in-one car seat covers all of your child's car seat needs, and it can install in both rear- and forward-facing positions. 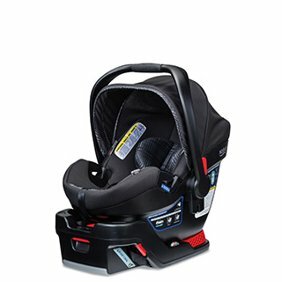 It transitions from infant car seat to forward-facing toddler car seat to booster seat. In the rear-facing position, an all-in-one car seat safely holds babies as small as 4 pounds. 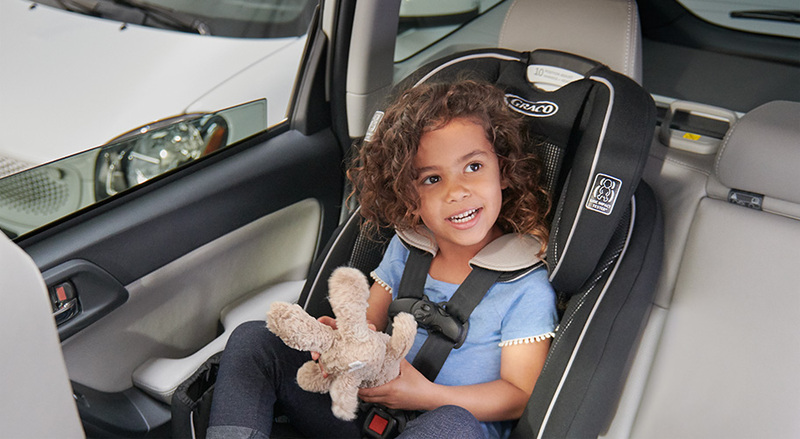 In the forward-facing position, kids can wear the five-point harness up to 65 pounds. As a booster seat, children up to 120 pounds can sit in the booster securely using the car's seat belt system. Toddler booster seats are similar to convertible car seats in that they transition with your child from one stage to the next. They come equipped with a five-point harness for smaller children to wear in the forward-facing position but also work with the car's own seat belt system once the child reaches the appropriate weight. Typical weight limits for toddler booster seats are 30 pounds to 120 pounds. Baby car seats and other gear often use a lot of confusing descriptive terminology. Many of these features are important for your baby's safety so you should familiarize yourself with them as well as how to properly use them when installing the baby seat that choose. The top tether strap offers additional security for forward-facing car seats. It anchors the shell of the car seat to the vehicle to keep the seat even more secure and to help reduce the risk of neck or head installations. The top tether strap works in conjunction with LATCH connectors or seat belts. The adjustable, or five-point, harness comes on all infant, all-in-one and convertible car seats. The harness secures around the baby's hips, shoulders and between the legs. You can continually adjust the fit of the harness as your baby grows. One of its most prominent features is the chest clip, which sits at armpit level across the baby's chest. Proper position is important to keep your baby safe and to reduce injuries.